Happy New Year!! Yes I know we are almost at the end of January, but its never too late to celebrate new beginnings! For those of you that know me, you know that I love to travel to new and exciting places. I believe that when we travel, we shouldn't just stay in nice hotels and do the regular tourist things, but we should meet the natives and give back as much as we can. This is the main purpose of this blog, along with my random musings. Well I have some really exciting news to share with everyone. Are you ready for this???!!! I was selected to be a Global Health Fellow for my company, Pfizer Inc. As a fellow, I will have the opportunity to work with an International Development Organization to help them with their business and management needs. 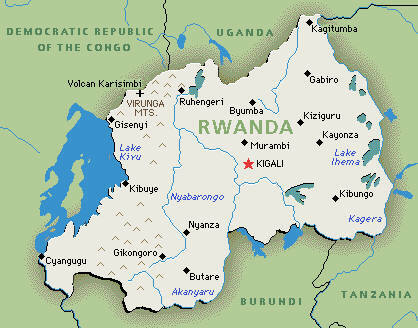 In this case, I will be working with The Earth Institute, Columbia University's Access Project, in Kigalia, RWANDA!!!! I will be based in Rwanda for the next couple of months working with the The Access Project as a Communications and Media Fellow. The Access Project works to improve the health of "impoverished people, communities and countries. In Rwanda, the Access model is applied to utilizing business and management skills to the public health systems, in order to increase access to life saving drugs and critical health services." -Access website. The sad reality is that most people in developing countries like Rwanda die relatively young, from preventable diseases such as malaria, tuberculosis and other neglected tropical diseases (NTDs). The goal of the Access Project is to improve the health of the people in areas where they wouldn't otherwise have access to healthcare. Once you have healthy people, you can then focus on not just lifting people out of poverty, but creating sustainable wealth for generations to come. Josh Ruxin, the founder of The Access Project as well as Rwanda Works, which applies the health, then wealth approach, is based in Kigali, Rwanda and regularly contributes to the Huffington Post, Forbes.com and New York Times. I am so excited to work with him and the teams of both The Access Project and Rwanda Works to bring stories from the field of people who have been helped by the over 79 health centers throughout Rwanda. Looking back, my journey to becoming a fellow and working in Rwanda, has come full circle. I initially started this blog, as a means to combine my passion for traveling with my need to be more socially responsible to the places that I travel to. One of the very first things that I posted was a song by Brooke Fraser, with the haunting lyrics, "Now that I have seen, I am responsible..." Its fitting that Brooke was singing about her trip to Rwanda and a girl named Albertine, whom she promises to never forget. Now as I prepare for my own trip to Rwanda, I ask that you lend your prayers and support for my fellowship and for the people of Rwanda. Rwanda is landlocked and located near DRC, Uganda, Burundi and Tanzania respectively. 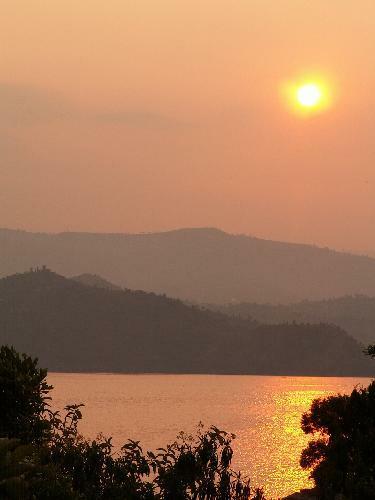 A new dawn, Lake Kivu in Rwanda. DISCLAIMER: I am an employee of Pfizer. The statements or opinions expressed on this site are my own and do not necessarily represent those of Pfizer.